Open Outlook. 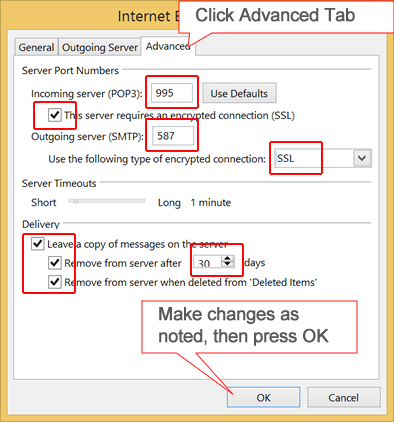 When the Outlook Startup Wizard opens, select Next. 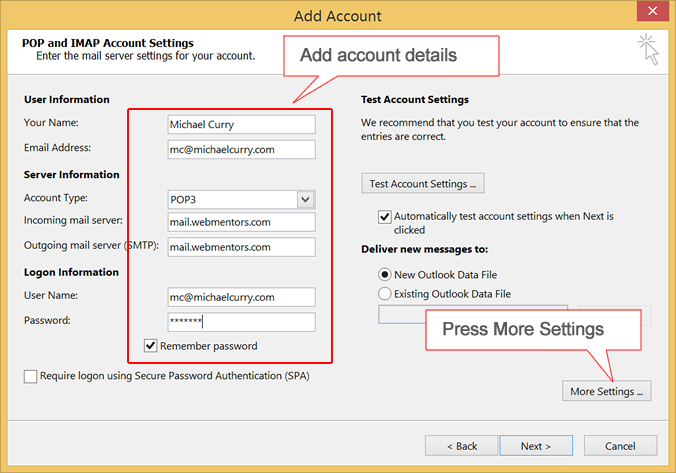 On the E-mail Accounts page, select Next. Click New icon if creating a new account. 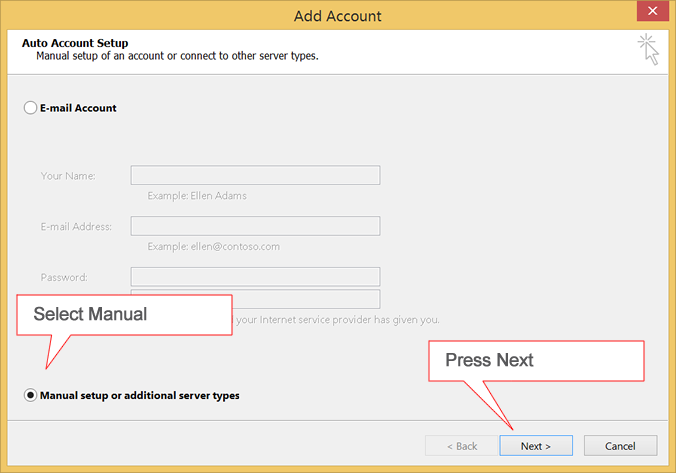 Or, if you are fixing an account that is not working, click on the account in the list of accounts. 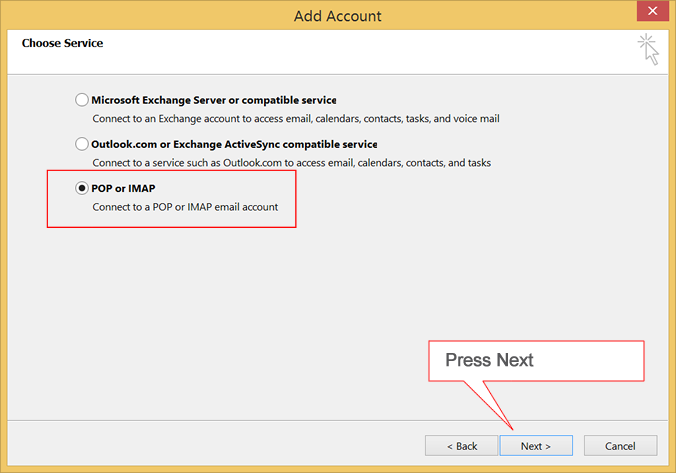 Check "leave a copy of message on the server"
Check "remove from server when deleted from Deleted Items"
Click Next and outlook will test your account settings. If the test is successful, press close and then press finish. If the test is not successful, double check all settings again. If this is the first time that it has been used, the Setup Assistant will appear. 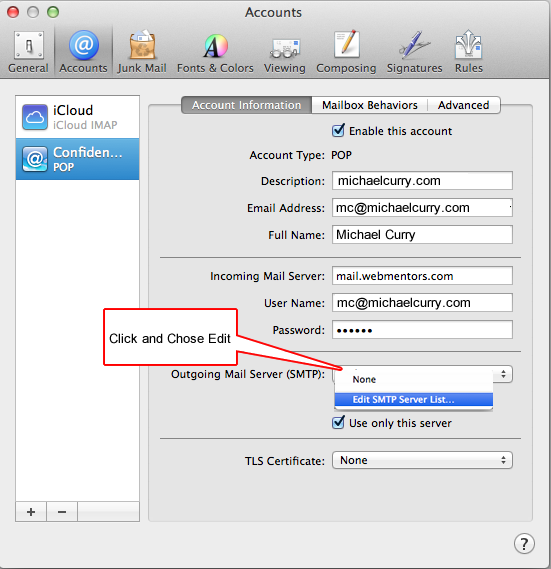 Otherwise, select File / Add Account. 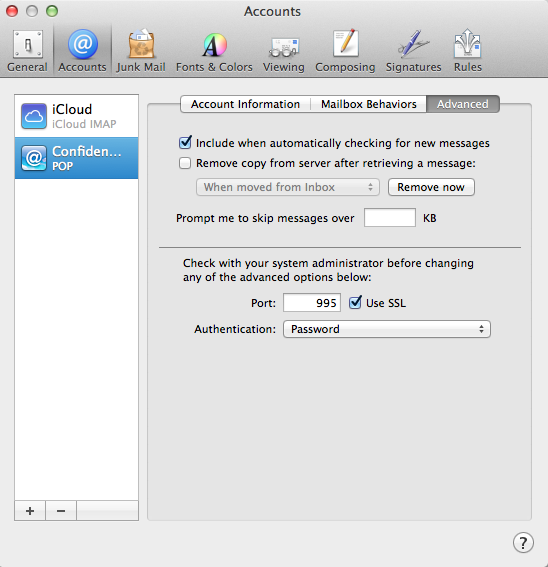 Description, email address and password. 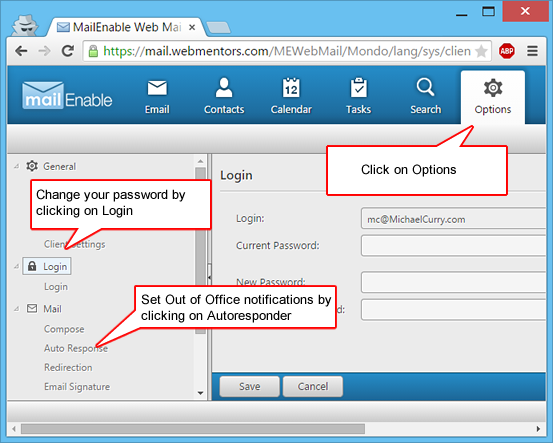 Your email is your username. Enter your password. 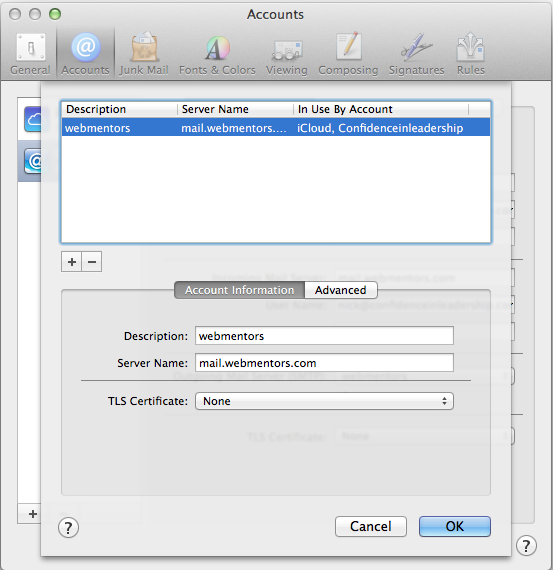 In the Accounts Window, ensure that the new outgoing server (Webmentors) is selected, and Use only this server is checked. 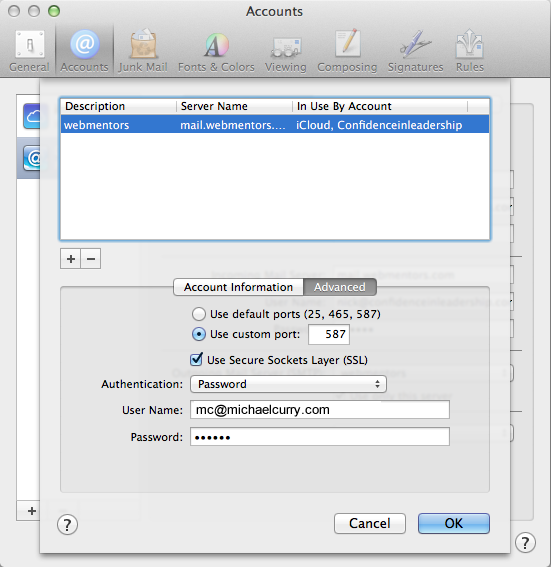 Port is set to 995 and Use SSL is checked. Close the Accounts window. Your email is set up. Enter your name, email, password, and a description for the account. Touch Next. 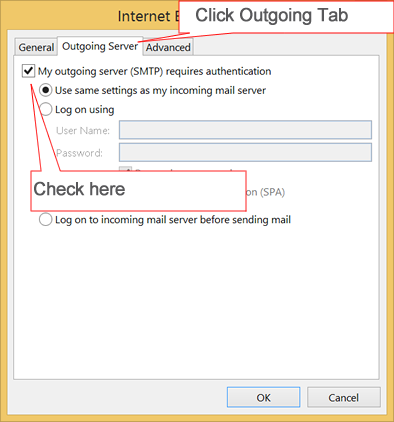 Enter the server settings, incoming and outgoing should be mail.webmentors.com. 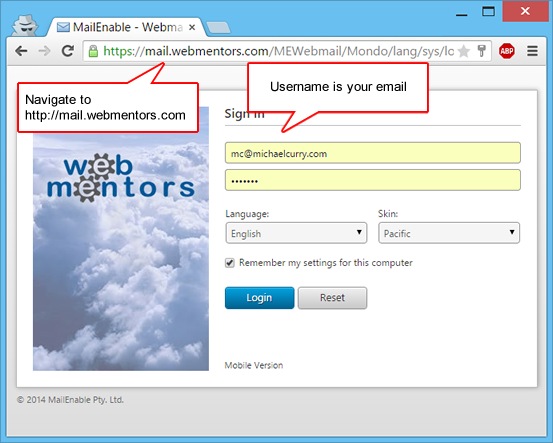 Your email address is also your username. Touch Next, and check marks should appear next to the settings. If not, double check they are correct. 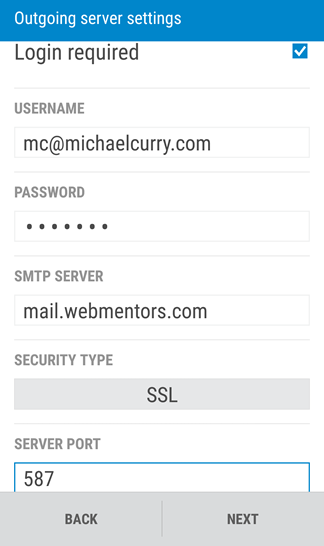 You will be at the Set-Up accounts menu with several other social network icons. 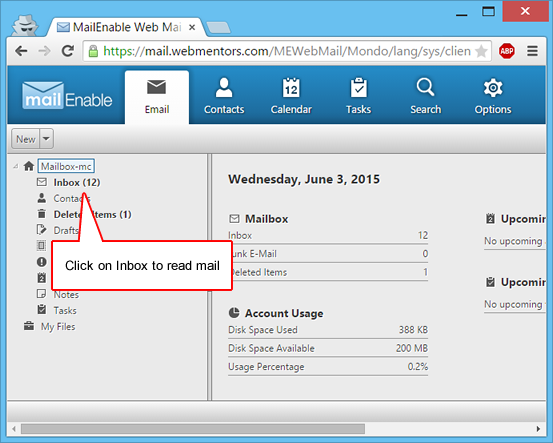 Tap Finish Setup again to complete your email set-up.